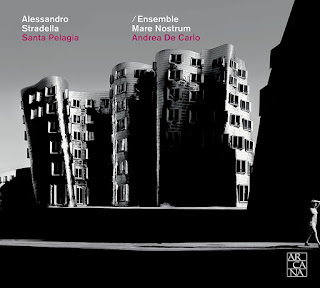 Alessandro Stradella's Santa Pelagia is a little bit of a mystery. The sole surviving manuscript of the oratorio does not quite give up all the work's secrets and this new recording on Outhere Music's Arcana label is a radically new version. 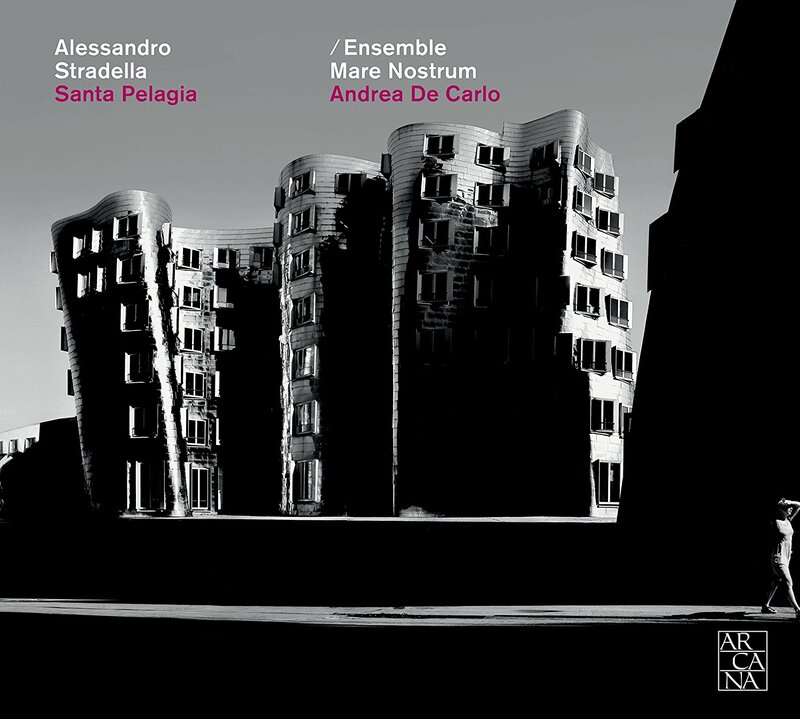 Andrea De Carlo directs Ensemble Mare Nostrum with Roberta Mameli as Santa Pelagia, Raffaele Pe as Religione, Luca Cervoni as Nonno and Sergio Foresti as Mondo. The manuscript of the work lacks a definitive composer, but other contributing factors confirm authorship, we just don't know where or when (or why) it was written. The libretto is in all probability by a Roman prince, Lelio Orsini who had written libretti for other Stradella oratorios for private performance at his palazzo. On stylistic grounds, the work's instrumental prelude and two violin parts are probably not by Stradella. So this performance removes them, giving us a performance that though stripped down, relishes the richness of an accompaniment provided by nine continuo instruments. The story largely ignores the dramatics of Saint Pelagia the Penitent's life and instead forms a moral fable Santa Pelagia (Roberta Mameli) choosing between worldly pleasures (as personified by Mondo, Sergio Foresti) and religion (as personified by Religione, Raffaele Pe). The final character is Bishop Nonnus (Nonno, Luca Cervoni) whose sermon caused Saint Pelagia to convert, be baptised and enter a hermitage. The work is a sequence of twenty six short arias linked by recitative, the bulk of these being given to Santa Pelagia as she expresses her doubt, her delight in luxury and the flattery of the world and finally her conversion. Roberta Mameli makes an appealing heroine, singing with accuracy and charm, certainly holding our attention. She sings with attractive, bright, focused tone and pays lively attention to the words. Raffaele Pe has a warm counter-tenor voice and sings with refined tone. In the gentler arias he sings with beautiful lyric tone. Tenor Luca Cervoni has an attractive soft-grained lyric tenor voice, but some times finds the more elaborate passagework a challenge. Sergio Foresti has a robust baritone, singing with a lovely swagger. All four singers make the most of the words and the recitatives are given with admirably vividness. The instrumental ensemble brings a rich mixture of colour and texture to the music, fully justifying the decision to omit the violins. The oratorio is perhaps a somewhat specialist taste, but I enjoyed this performance immensely and felt that in the title role Roberta Mameli really held my attention, finely supported by Andrea de Carlo and the instrumental ensemble. Recorded in the Cathedral of Santa Maria Assunta, Nepi, Italy, 11-14 September 2016.